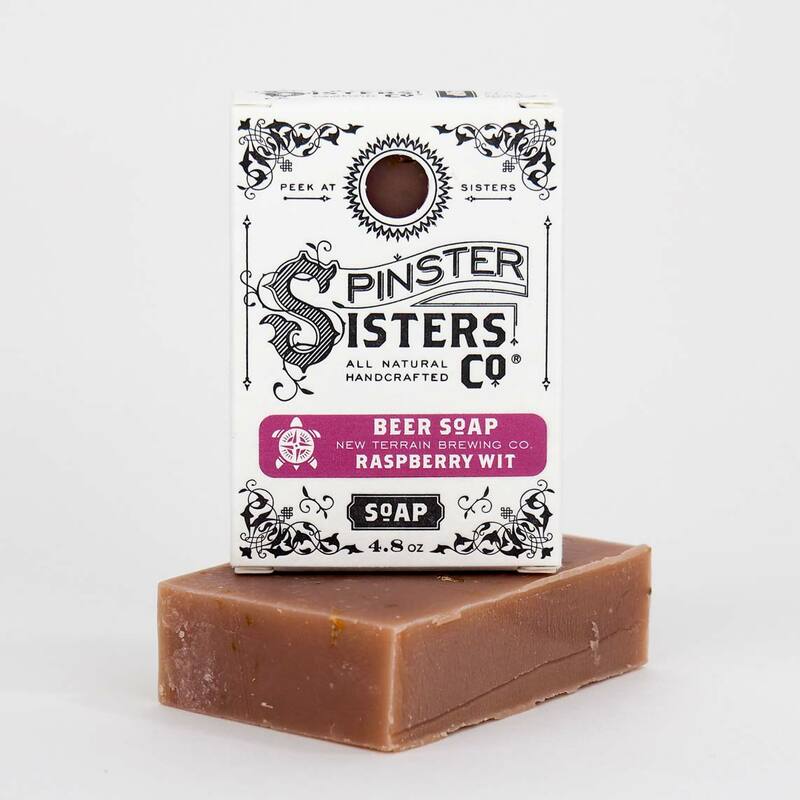 Raspberry Wit Beer Soap | Soap | Spinster Sisters Co. This batch of Beer Soap is made with a delicious Raspberry Wit from New Terrain Brewing Co. Its intoxicating smell will have you dreaming of biergartens and fresh raspberries. Our signature Bath Soap is what made us who we are. It is made using responsibly harvested palm oil, known for its powerful cleansing properties, fair-trade Shea Butter, which is highly moisturizing and keeps skin youthful and smooth, and six other minimally processed plant-based oils. 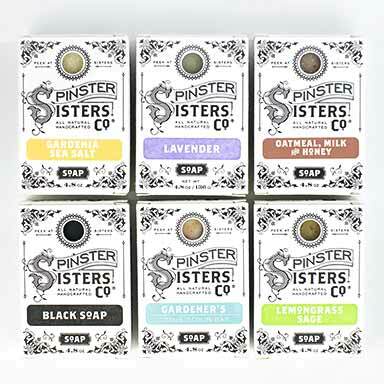 Botanicals, fine essential and fragrance oils, and plant or mineral-based colorants complete each bar. 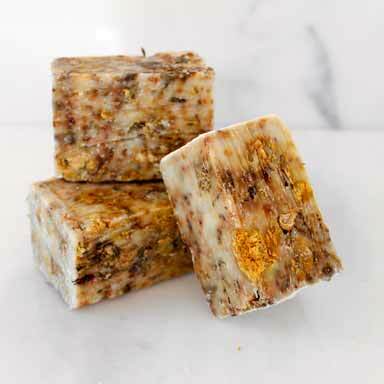 Our Bath Soap is produced at our wind-powered Microsoapery in Golden, Colorado using the cold process soap method. The luxurious ingredients we use provide this soap a rich lather and the fine oils are gloriously moisturizing for your skin. New Terrain Brewing Co. Raspberry Wit, Olea Europaea (Olive) Fruit Oil, Cocos Nucifera (Coconut) Oil, Sustainable Elaeis Guineensis (Palm) Oil, Ricinus Communis (Castor) Seed Oil, Prunus Armeniaca (Apricot) Kernel Oil, Argania Spinosa (Argan) Nut Oil, Fair-trade Butyrospermum Parkii (Shea Butter) Fruit, Theobroma Cacao (Cocoa) Seed Butter, Mica, Iron Oxide, Calendula Officinalis Flower, Fragrance. 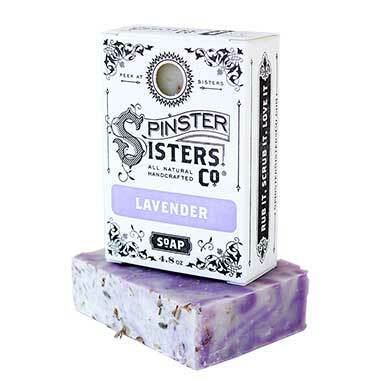 After you remove your Bath Soap from its letterpress box, deeply inhale the enchanting aromas. When ready to use, get the Bath Soap wet and work into a lather. Gently cleanse your skin and bask in the rich lather and heavenly smells. Store soap on a well-draining shelf or tray until its next use.